1- Does singing along with, say, Alan Broadbent, Marc Johnson and Joey Baron a jazz singer make? 2- Can someone who sings strictly following what was written on the charts, with only minor changes in rhythm, be called a jazz singer? 3- Aside from the likes of Dianne Reeves, Diana Krall, Roberta Gambarini, Cassandra Wilson, Tierney Sutton, Nancy King, Janis Siegel, Jay Clayton, Jane Monheit, Carol Sloane, Judy Niemack and a handful few others (not counting that friend of yours who sings in that bar around the corner, of course), do you think there exists, today, much more? Don’t you think many a jazz magazines are a bit too much populated by animals of other natures than reasonable expected? 4- Have you ever seen some pop singer taken erroneously as a jazz one and – worse still – earning prizes as an artist of this gender of music? 5- Heard about a so-so piano player who became a wonderful singer, without abandoning the piano? 6- Conversely, heard of a wonderful piano player who became a so-so singer, also without firing her playing instrument? Who are they? 7- The greatest pop singer of all time was a jazz artist? Would his Jobinian “shah.bah.dah.bah.dah” qualify him as such? Or, for instance, his rendering of “I’ve Got You Under My Skin” would suffice? 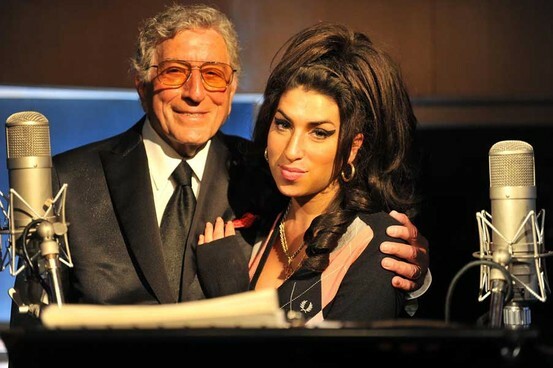 What about his colleague Tony Bennett? 8- How would they compare (in their “jazziness”) to the great Kurt Elling and the no less important Mark Murphy? And speaking of these two, which one would you stay with, if improvisation skills were the main concern? 9- Wouldn’t you agree some scats could help a lot to forge a real jazz vocalist and could , as well, distinguish men/women from boys/girls? 10- Why is it there’s much more jazz and “jazz” female vocalists than their male counterparts? 11- Which singer (non American) is the only one in the scenes today who resembles, at the same time, Ella, Carmen and Sarah? 12- I agree Miles Davis was really great, but what about helping living jazz musicians feed their children?